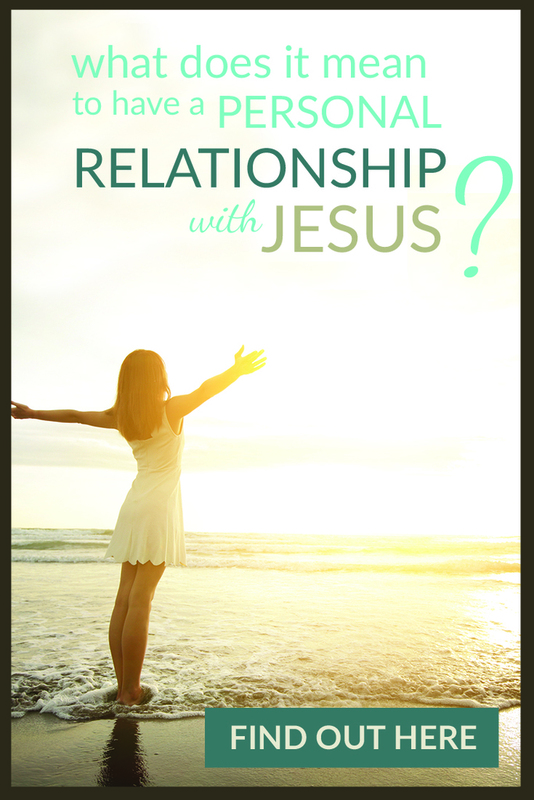 What is a personal relationship with Jesus? Maybe you’ve heard that it’s possible to know God personally, but you have no idea what that means. Or perhaps your faith feels like a religion instead of a relationship with God, and you wonder if it’s possible to know how to grow closer to God (in a meaningful way). Here’s the truth: You were created to know God and have a close, personal relationship with Him–a life-changing experience that will affect every aspect of your life and bring you joy, hope and purpose like nothing else! Let me share with you what the Bible says about how to have a personal relationship with Jesus Christ. P.S. 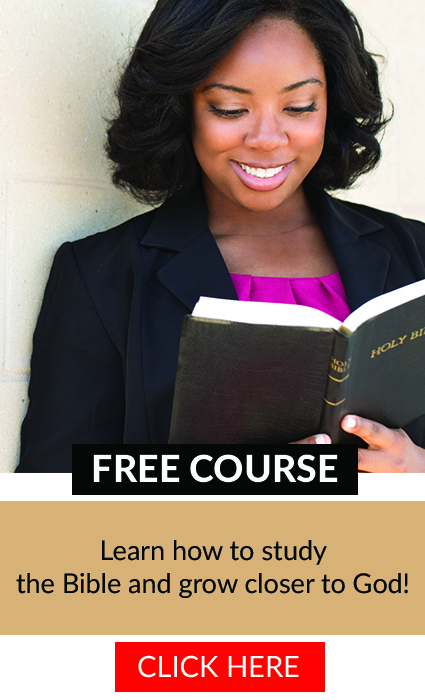 I also want to give you a free video course that will teach you how to study the Bible so that you can have an easy, practical way to grow closer to God everyday! 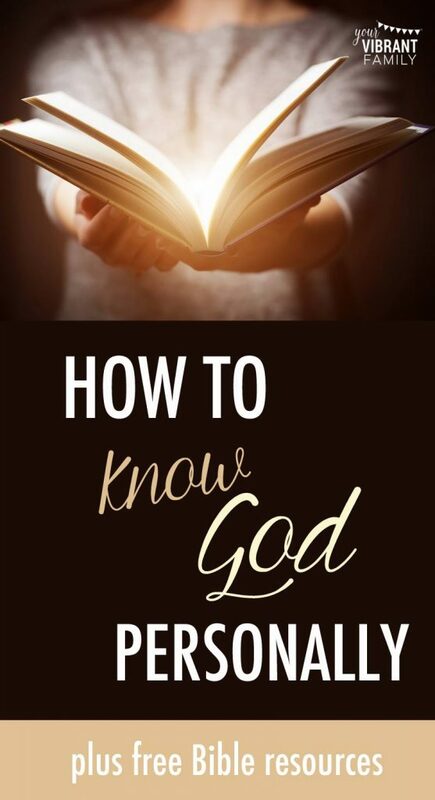 Click here to download the free “How to Study the Bible” video course so that you can develop a strong relationship with Jesus and know God personally! Take a second to describe your relationship with Jesus (and with God). Do you know God? I don’t mean do you know “of” God. I mean, do you have an authentic personal relationship with the One who created you, and with His Son, Jesus Christ? I’m talking about a relationship with God based on a relationship with Jesus, thanks to his sacrifice (and not based on the “good” or “bad” things you’ve done). So let me ask you again… do you know God? I mean, really know Him? In other words, do you have a relationship with Jesus? This post could change your life forever (in fact, I hope it does)! Is a Relationship with Jesus the Same as a Relationship with God? Most Christians use the terms “relationship with Jesus” and “relationship with God” (and even “knowing the Holy Spirit”) interchangeably since Jesus, God the Father and the Holy Spirit are one spiritual being (John 10:30), whom we refer to as the Trinity. Let me explain. The Trinity has been together since before the beginning of time (Colossians 1:15-16) but God the Father was the first “person” of the Trinity to build relationship with humans, namely the Israelite people. You can read the incredible stories of how God build the nation of Israel and lead them for thousands of years in the Old Testament (the first 39 books of the Bible), mainly by encouraging them to stay close to Him by following His law. Jesus, the second person of the Trinity, officially began a relationship with us (the human race) when He was born as a human (fully man and fully God) in that famous manger over 2000 years ago (which is why we celebrate Christmas). Jesus walked among us and lived a sinless life. He perfectly lived out the law that God the Father had given the Israelite people all those years ago (Philippians 3:12), thereby fulfilling all the requirements that no person could ever perfectly follow (since we are flawed humans). He was “God in flesh,” meaning that He gave us a glimpse of what God the Father looked like (John 14:9). He did miracles (turning water to wine, healing the blind), shared God’s wisdom through parables and spoke about how to find eternal life through God. The Bible also tells us in John 3:17 that God sent Jesus to the world with a specific purpose: the save the world through his sacrifice. Although Jesus didn’t deserve it, He was brutally tortured by the Romans and eventually killed, condemned by his own people (the Jews) to a death on a cross (Acts 3:13-15). But He proved his deity when His body was resurrected 3 days after His death (Acts 3:15) (what we today celebrate as Easter Sunday). He demonstrated that He was God, and that He could conquer all things–even death (Romans 8:37-38). Before He rose back into heaven, Jesus shared that He would be sending “a comforter” that would be with us forever (John 14:16-17). This “comforter” would point us back to God’s truth and remind us of all that Jesus said while He was on Earth (John 14:26). That “comforter” was the Holy Spirit (the third “person” of the Trinity). The Holy Spirit first began a relationship with humans when it descended on the first-century church believers as “tongues of fire” on what we now call “Pentecost” (Acts 2). Again, the Bible says that Jesus, God the Father and the Holy Spirit are one; therefore, when we reference having a relationship with Jesus, we really mean having a relationship with God the Father and the Holy Spirit as well. One more important thing: Before Jesus’ death and resurrection, the Jewish people were only able to have a relationship with God through the sacrificial system that God had established (known as “the Law”) (Galatians 3:19-23). Because the Jewish people weren’t perfect (and none of us are) they needed to continually offer God sacrifices in order to grow closer to God. Jesus lived the perfect sinless life (fulfilling the law in a way that humans never could because we are imperfect) and then died as a sacrifice in our place (Matthew 26:28). He fulfilled the requirements of the law in a way that we could never have (Romans 3:21-22). Once Jesus had fulfilled the requirements of the law, our access to God was forever changed. Now, instead of having to do sacrifices to be in right standing with God (and to have a relationship with God), we simply need to believe that Jesus was the one who paid the price for our mistakes (Hebrews 10:19-22; John 5:24). Then, as a result of a grateful heart that longs to be obedient, we can to choose to stop making wrong choices (as God defines “right and wrong” in the Bible) and to choose to follow Jesus to discover the full, satisfying life (as described in John 10:10). What Does the Bible Say About How to Know God Personally Through a Relationship with Jesus? Do we need to do more good deeds in order to be accepted by God? Do we need to follow a strict set of rules to experience His love and boundless grace? No. The Bible is very clear that we find salvation only through faith (not good works), and that God’s love and grace is free gift He pours out on all people regardless of how “bad” or “good” they are (Ephesians 2:8-9). Now, because of Jesus’ perfect life, and His sacrificial death, we simply need to believe that Jesus’ sacrifice is enough to pay our “sin debt” to God (Romans 3:25) and thereby receive this free give of grace. Would you like to know how to discover your best life–one full of purpose, meaning and joy–that only He can show you (John 10:10) when you choose to surrender your heart to Him? Yes? Awesome. Let me show you how to start that relationship with God right now. Cru (a Christian ministry to college students) explains how we can begin a real relationship with God with their Four Principles to Knowing God. I’ve paraphrased these principles below and added a few Bible verse references that support each principle. Want to Get Closer to God But Still Have Unanswered Spiritual Questions? It’s OK if you’re not quite ready to make the decision to start a relationship with Jesus Christ! It’s a big decision (and honestly, the most important one of your life). How will knowing that Jesus loves me change my life? How can I keep my faith in God during tough times (4 stories)? How can getting closer to God help me find peace if I’m dealing with a chronic illness? What about all the “why” questions I have? Was Jesus God or just a good man? Why does the Resurrection matter today? What if I don’t feel loved by God? 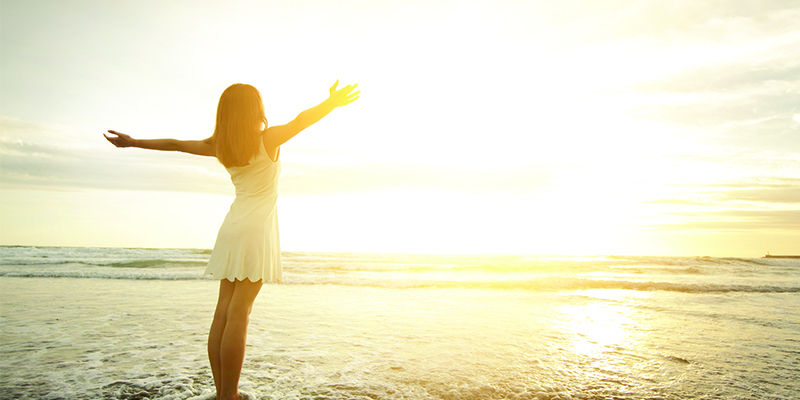 How do I find joy and happiness in everyday life (when life isn’t perfect)? Is authentic joy really possible? What if I’ve made huge mistakes and I deal with all kinds of guilt and shame? How do I even spend time with God everyday? What does a “quiet time” look like? How can I make spending time with God a regular part of my life when I am so busy? How can I teach my kids how to get closer to God? No matter where you are in your relationship with Jesus right now, I encourage you to spend time getting to know who God is by simply reading and studying the Bible. Growing closer to God through daily Bible study is the glue that brings much-needed refreshment and transforms the difficulties we endure into avenues for beautiful spiritual growth. But I get it–the studying the Bible can feel overwhelming and intimidating. Where do you start? How do you relate Bible verses to your life? And how can reading the Bible help you develop a personal relationship with Jesus? that really makes the Bible come alive and become relevant to your everyday life. This Bible study method is so simple that even kids can learn how to use it! I’ve taught thousands of people around the world how to grow closer to God and develop a personal relationship with Jesus using this Bible study method, and I’d love to share it with you too. I’ve put together a free video course that teaches you this simple Bible study method (the 5Rs Bible Study™ Method) and shows you how you can develop a thriving personal relationship with God in less than 10 minutes a day. I know that it’s not an accident that you ended up reading this post today. You are wondering how to grow closer to God, and daily Bible study (often called a quiet time) is the number one way to develop the personal relationship with God that you’ve been looking for! Take the next step in your relationship with Jesus and learn how to study the Bible in only a few minutes a day. This Bible study method is perfect for busy women like you and me. 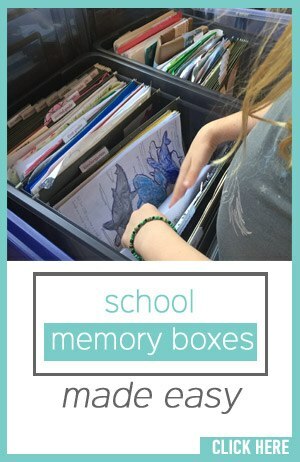 Did I mention that this resource is completely free? 🙂 It’s my gift to you. I want to help you grow in your personal relationship with Jesus. 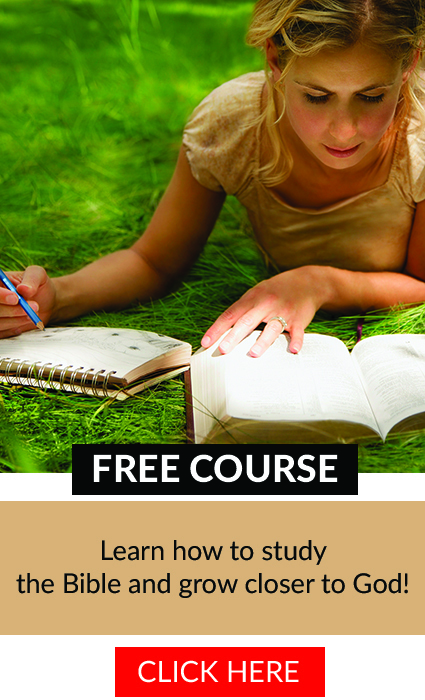 Let me help you grow spiritually like never before with this free video course on how to study the Bible! Click here so that I can send this free Bible study resource straight to your inbox. Let me help you get started in your relationship with Jesus!